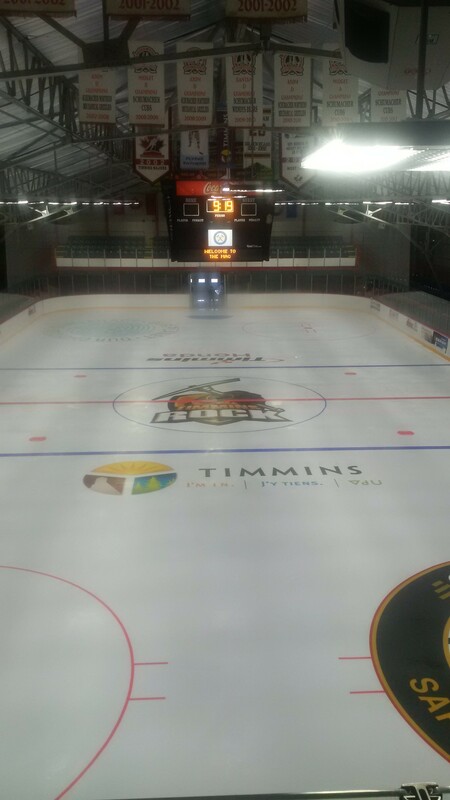 The Timmins Rock Hockey team is gearing up for the upcoming season in September and try-outs are being held from August 4-7. The Mac is also undergoing some repairs and upgrades to be ready for the season. The new Rock logo and new Timmins logo have been painted on the ice and they look great! Having an NOJHL hockey team in the City will attract regional tourists and will have a positive impact on our economy. It will also work toward making Timmins a more exciting place to live, work, play, and invest. For more information on the Rock and how to purchase season passes click here.